Dr. Bill Smith, Editor: When you read the below article don't just say there can't be a problem in "my state." Also, consider that the condition and attitudes associated with abortion can be expected to be occur, if not now - then in the future, for those determined by others to be at the point of being euthanized. Surprisingly, the fact sheet evidences the Gosnell behaviour and clinic conditions even in so-called "Bible belt" states. So far, the SBA List fact sheet of negligence addresses the following states: Arizona, Delaware, Illinois, Louisiana, Maryland, Michigan, North Carolina, Pennsylvania, Virginia and Texas. I am sure they will update the information as it is documented from other states. by Marjorie Dannenfelser, President, Susan B. Anthony List: Abortionists like Kermit Gosnell and Douglas Karpen are more common than you think. They aren’t exceptions, they’re the rule. Unsafe conditions and barbaric practices in abortion clinics are an epidemic, not a random occurrence. The blood splattered walls and freezers full of children do not just exist in a few clinics in Pennsylvania and Texas. They’re in clinics across the nation from Illinois to Virginia. Every day SBA List uncovers more clinics around the country and adds them to our fact sheet of negligence and brutality. It falls to us to expose the abortion industry’s inhumanity because pro-abortion politicians and their allies in the mainstream media refuse to acknowledge the horror shows. At SBA List, we know the multi-state breakdown of oversight of the abortion industry has gone on for too long. Many states have not enacted or enforced basic regulations for abortionists across the country, and vulnerable women suffer the consequences of their inaction. States have left the abortion industry to regulate itself, and across the board it has led to disaster. They refuse to acknowledge that abortionists are driven by one goal: make as much money as possible by ending lives and hurting women at high prices. This has to change, and SBA List is taking the lead to get it done. 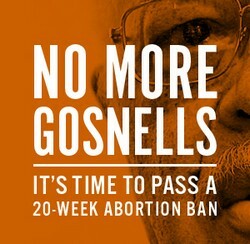 We cannot allow Kermit Gosnell conditions and practices across the country to go unnoticed. The abortion industry knows no bounds and no borders, and we’ve discovered a frightening trend. The worst abortionists cross into states that don’t enforce regulations on abortion. For instance, did you know that Kermit Gosnell also worked in a clinic in Delaware that the state never inspected? Douglas Karpen still practices abortions in Houston, TX even after his former staff members released the photos of viable babies from failed abortions whose necks had been wrung. 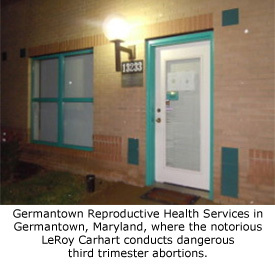 Dr. Leroy Carhart still practices abortions in Nebraska and Maryland even after his negligence likely led to the death of Jennifer Morbelli. You might recognize Douglas Karpen from that list, but you probably didn’t read about him from major news networks. The state of Texas has started an investigation, but like with most abortionists, the Texas Medical Board has already dismissed his abuses. These men need to see justice. They need to be stopped. And, we have to act. We must demand that Congress and state legislatures stop turning a blind eye. That’s why the SBA List is producing a running fact sheet of negligence and brutality. It’s up to us to educate Americans and lawmakers – and demand action. It will only be a matter of time before the national abortion network starts to collapse. If we can continue to expose Gosnell-like practices and conditions across the country, we can force Congress and state legislatures to take action and save lives. We can’t do this alone. We’ve compiled the information and spread the word as far as we can, but you need to take the next step. Share our fact sheet of negligence today to help us expose the abortion industry and demand action. Tags: SBA List, abortion centers, Ketmit Gosnell, not outlier, Doug Karpen, Leroy Carhart, fact sheet, negligence To share or post to your site, click on "Post Link". Please mention / link to the Greater Fitchburg For Life. Thanks! The embryos killed are the first class of victims; the second class of victims will be the rest of us. by Samuel Aquila, National Review Online: Oscar Wilde’s The Picture of Dorian Gray is the sort of timeless morality tale students read as an antidote, or at least an objection, to the hedonism that seems to follow naturally from youthful ideas about immortality. The story is familiar to many: Dorian Gray is a narcissist who wishes that a portrait of him — his copy in paint — would age in his place. His wish comes true, and though his life is corrupted by a pursuit of pleasure, only his painted visage bears the effects. Dorian himself is visibly unscathed, though the novel’s fatal climax exposes a soul rendered ugly by a life of egoistic debauchery. But the distinction is spurious. Both types of cloning are reproductive. Both bring a new human being into existence. In fact, so-called therapeutic cloning is the more heinous because the process is intended to create life, exploit it, and then destroy it. Consider what the cloning breakthrough means. Scientists have discovered how to create perfect human copies, to be used for the sole purpose of growing tissue in the effort to combat disease, and then these copies will be destroyed. From a scientific perspective, this breakthrough could solve, among other problems, that of tissue rejection or a delay that renders organ transplant unfeasible. From the standpoint of materialism, there has been no greater advance in regenerative medicine. Through therapeutic cloning, a person’s health can be enhanced immeasurably — and only the copy, the embryo, will suffer the effects. The problem is that the embryo is not merely a copy. The embryo is not an extension of the patient who donated the DNA, a cell bank to be utilized without consequence. 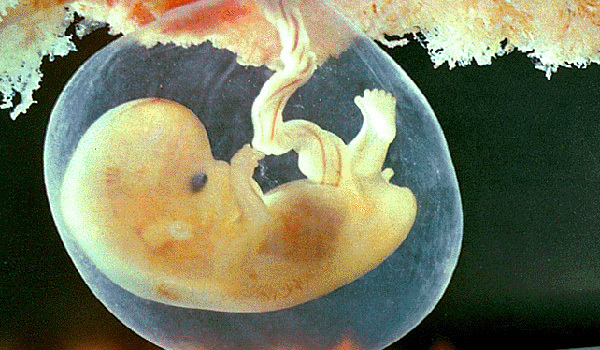 The embryo, though genetically identical, is a new manifestation of human life, endowed by its very being with dignity. 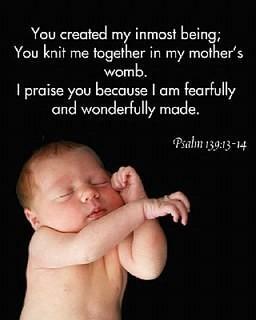 The embryo is a human being. The humanity of the cloned embryo will be aggressively denied in the weeks to come. Though human life demonstrably begins at the embryonic stage of development, the created embryo will be presented as a collection of tissue, a biological tabula rasa from which organs can be grown. Scientists will seek more funding, and the Dickey Amendment, which prohibits federal funding for the creation of cloned embryos, will be attacked. In 1968, Pope Paul VI warned in Humanae Vitae that the sexual revolution, beginning with a cultural acceptance of the contraceptive mentality, would lead to a wholesale denial of human dignity and the family. Now we are cloning embryos to destroy them. It will be only a matter of time before therapeutic cloning will cede to reproductive cloning. If we don’t seriously contemplate the ethical consequences of therapeutic cloning now, eventually cloned human beings will be born in America. The “progress” of therapeutic cloning will not be victimless. But the victims will be hidden from sight, tucked away in the dark like Dorian’s decaying portrait. The first class of victims, and the ones most pressing on our consciences, will be the embryos — brought into existence to be used, and then killed. If nurtured, as in a womb, these embryos would grow into fetuses, and then infants, and then children. They are, no matter their size, human beings. But because they are small and have no voice and offer such tremendous possibility, they will be ignored. The embryos will be a class of human beings created only to be exploited and discarded. The second class of victims will be the rest of us. We will be the ones remaining healthy and making progress and defeating disease — all by means of killing. We will be the ones who appear beautiful, while our souls embrace the most harrowing kind of social utilitarianism and darkness. If we ignore the problem, as we have done with contraception and abortion, we will only sink into a more violent depravity, like the one that befell vain Dorian Gray. We will be the ones whose portrait grows ever uglier, and who grow ever closer to madness. Samuel Aquila is archbishop of the Archdiocese of Denver, Colorado. This article by Archbishop Aquila was shared for educational purposes under the "Fair Use Doctrine. We first received notice of this article via email from American Life League which secured reprint permission from of NRO's Lucy Zepeda. Tags: Opinion article, Archbishop, Samuel Aquila, Therapeutic Cloning, Human Embryos, Dorian Gray To share or post to your site, click on "Post Link". Please mention / link to the Greater Fitchburg For Life. Thanks! ARRA News Service - Washington, DC - The American Center for Law and Justice today filed a significant lawsuit in federal court in Washington, D.C., on behalf of 25 Tea Party and conservative organizations against the U.S. Attorney General, Treasury Secretary, and Internal Revenue Service - including top IRS officials. The lawsuit, posted here, urges the court to find that the Obama Administration overstepped its authority and violated the First and Fifth Amendments of the U.S. Constitution, the Administrative Procedure Act, as well as the IRS's own rules and regulations. The lawsuit requests a declaratory judgment that the Defendants unlawfully delayed and obstructed the organizations’ applications for a determination of tax-exempt status by means of conduct that was based on unconstitutional criteria and impermissibly disparate treatment of the groups. The suit also seeks injunctive relief to protect our clients – and their officers and directors – from further IRS abuse or retaliation. Further, the lawsuit seeks compensatory and punitive monetary damages to be determined at trial at a later date. In the lawsuit, the ACLJ cites six counts arguing the federal government violated the Constitution, federal law, and even its own rules and regulations. The ACLJ represents a total of 25 organizations in the lawsuit, with additional groups likely to be added to the suit as it progresses. The names of the organizations represented are available here. Of the 25 groups, 13 organizations received tax-exempt status after lengthy delays, 10 are still pending, and two withdrew applications because of frustration with the IRS process. The ACLJ lists as defendants in the case: U.S. Attorney General Eric Holder; the Internal Revenue Service; Treasury Secretary Jacob Lew; Steven Miller, former acting Commissioner of the IRS; Lois Lerner, Director of Exempt Organizations Division for the IRS; Holly Paz, Director, Office of Rulings and Agreements; and unknown named officials inside the IRS. The IRS contends that the targeting scheme originated with a couple of rogue IRS agents out of the Cincinnati, Ohio office and contends the abusive conduct has been halted. However, the ACLJ has correspondence showing this tactic was used not only in the Cincinnati office, but also from two offices in California – El Monte and Laguna Niguel – as well as the national office in Washington, D.C. In fact, the Washington office sent a letter to one of our clients as recently as one month ago. Furthermore, the ACLJ has letters signed by Lois Lerner, Director of Exempt Organizations, suggesting her personal involvement in sending invasive questionnaires to 15 of our clients in March 2012 - some nine months after she was told about the scheme and promised to stop it. The ACLJ has heard from nearly 100,000 Americans calling on President Obama and members of Congress to end the IRS abuse. Tags: American Center for Law and Justice, ACLJ, Files Federal Lawsuit, IRS, 25 organizations, TEA Party, Kentucky 9/12 To share or post to your site, click on "Post Link". Please mention / link to the Greater Fitchburg For Life. Thanks! College Students for Life: As a pro-life leader, you have to be knowledgeable on the subject of abortion and be able to communicate it to others. This will not only increase your influence as a leader, but it will change minds and hearts. Students for Life has compiled a list of apologetics resources for you to use to sharpen your arguments for the preborn. 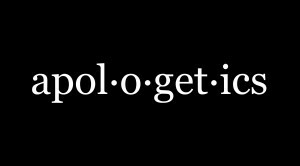 Use these resources to get started and invite SFLA to do a free apologetics training for your group. Check out the following links to articles and lectures like "How to Defend Your Pro-Life Views in 5 Minutes or Less" and "Answer Every Defense for Abortion." Check out the “Get Educated” page for more resources and information. Tags: apologetics, pro-life, Students for Life, resources To share or post to your site, click on "Post Link". Please mention / link to the Greater Fitchburg For Life. Thanks! Bethany Monk, CitizenLink: The U.S. Supreme Court has chosen not to review a lower court decision blocking Indiana from cutting off Medicaid funding from abortion centers. "The Court missed an opportunity to clarify, once and for all, that states may cut the abortion industry off from all sources of taxpayer funding," said Americans United for Life President Charmaine Yoest. "Big Abortion has no constitutional right to force Americans to support its deadly industry with tax dollars." 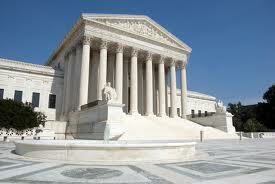 Tags: Citizen Link, Supreme Court, Indiana, Planned Parenthood To share or post to your site, click on "Post Link". Please mention / link to the Greater Fitchburg For Life. Thanks! 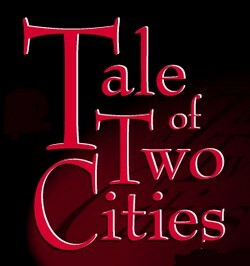 by Harry R. Jackson, Jr., Townhall: Charles Dickens' novel called A Tale of Two Cities (1859) depicted the plight of French peasants' civil conflict with its aristocracy in the years leading up to the French Revolution. Despite their linguistic differences, Dickens showed many parallels with the social atmosphere of London and Paris during that time period. In contrast to Dickens’ work, my commentary today explores the dramatic difference in the value of human life (versus the value of animal life) in privileged versus impoverished communities in the same city - Philadelphia. I am concerned that Philadelphians seem more committed to protecting the lives of animals than they seem to be committed to saving the innocent lives of unborn children and their young mothers. Let me explain. Last month, Philadelphia Eagles quarterback Michael Vick was forced to cancel a planned book tour because of credible threats on his life. According to his publisher, “protests escalated into threats of violence.” Threats were made to harm Vick himself and the employees of bookstores and other venues planning to host the athlete as he promoted his new book, Finally Free. Everyone concerned decided it was safer to keep the athlete out of the public eye for the off season. The anger against Vick stems no doubt from his role in the death of between six and eight dogs in a dog fighting and gambling operation he owned. Vick pled guilty to felony charges in 2007 and has since been released from prison. In contrast; two years ago, another Philadelphia man was indicted for the murder of seven human babies and one adult woman. Kermit Gosnell ran a late term abortion facility in Philadelphia and had been sued at least 15 times for malpractice before the FBI discovered the squalid conditions in his clinic during a prescription drug raid in February of 2010. Yet the same media that excoriated Vick— has been eerily silent on the murder of poor mothers and the murder of fetuses. When Vick’s crimes first came to light, there was understandable outrage from all corners. NFL Commissioner Roger Goodell denounced Vick’s actions, calling them “cruel and reprehensible.” Animal rights organizations like PETA predictably not only condemned him, but staged protests until sponsors like Nike and Reebok cut all ties with the quarterback. Multiple news sources regaled the public with the gruesome details of Vick’s operation. A July 2007 CBS/Associated Press report explained, “Fights would end when one dog died or with the surrender of the losing dog, which was sometimes put to death by drowning, strangulation, hanging, gun shot, electrocution or some other method, according to the documents.” To this day, Vick routinely tops lists of most disliked athletes, despite his many efforts to make amends for his past. 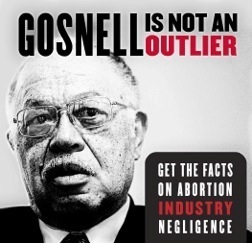 For years, the same media outlets have not deemed Gosnell’s crimes worthy of much coverage. While details of Vick’s operation dominated television news for weeks on end, major network news shows have been completely silent on the inner city late-term abortion facility as of this writing. But are Gosnell’s crimes really less newsworthy? According to testimony in the trial, the unlicensed medical school graduate beheaded nearly 100 living infants who were outside the womb and breathing on their own. Body parts of aborted babies were reportedly stuffed in cabinets and jars, and blood stained the furniture and carpet in the clinic. Vick has repeatedly apologized for his actions in writing and in person. As part of his plea bargain, he was sentenced to 23 months in federal prison and three years’ probation. While in prison, he was frequently visited and counseled by former NFL coach Tony Dungy. Vick has volunteered for the Humane Society, testified before Congress in favor of stricter regulations against dog fighting, and has made numerous public appearances before at-risk youth, with whom he is an in-demand speaker. In contrast, Gosnell has yet to express any remorse for his actions. History reminds us that America is capable of forgiving public figures whose sins are discovered. President Bill Clinton, after having an affair with an intern and lying about it; Director Roman Polanski, who drugged and raped a thirteen year old girl are just two examples of persons who have been released from the fickle court of public opinion. Yet an apologetic Vick cannot go on a book tour without fearing for his life. I do not blame the media entirely for the state of supreme moral confusion in America. The voices of institutions like the Church have been compromised by recent corruption scandals. But the editorial decisions of key media outlets concerning “newsworthy crimes” have contributed to the problem. For example, many Americans may never get a chance to make a judgment about Gosnell’s actions, because they haven’t even heard of him. While I do not condone any of Vick’s crimes against dogs, I think he deserves forgiveness and a second chance. Do Philadelphians really care less about crimes against human beings than they care about crimes against dogs? I don’t think so. What do you think? Tags: Tail of Two Cities, Philadelphia, babies, Abortion, murder, Kermit Gosnell, dogs, Michael Vick To share or post to your site, click on "Post Link". Please mention / link to the Greater Fitchburg For Life. Thanks! He said, ". . . You're going to have an abortion." SilentNoMoreCampaign: Jennifer talks about her experience with abortion at the 2013 Walk for Life in San Francisco, California. She, like approximately 80% of women who have aborted, was coerced and pressured into having her abortion. Tags: Silent no more, abortion, 2013 Walk for Life, San Francisco, California, tesitmonial To share or post to your site, click on "Post Link". Please mention / link to the Greater Fitchburg For Life. Thanks! Banning Abortions After 20 Weeks? by Josua Mercer, CatholicVote: Ban abortions after 20 weeks. Nationwide. That’s what legislation debated in a House subcommittee yesterday would do. Exceptions to the bill are provided for the life of the mother or “substantial and irreversible physical impairment.” The bill specifically prohibits “psychological or emotional conditions” from qualifying as exceptions. You might be asking: Why 20 weeks? When deciding the constitutionality of any abortion regulation, the Supreme Court demands a compelling governmental interest. To back this up, Chairman Franks had former abortionist Dr. Anthony Levatino testify. 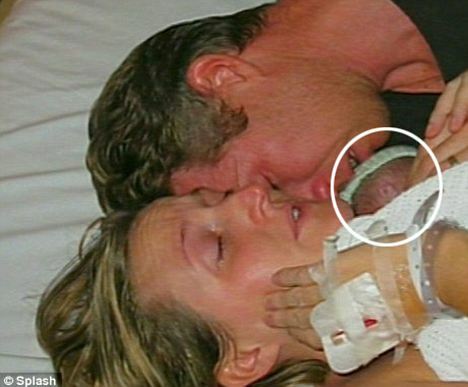 He had performed 1,200 abortions, including late-term abortions. He urged Congress to pass this bill. You can also read testimony from Maureen Condic, Ph.D of the University of Utah School of Medicine, Dept of Nuerobiology and Anatomy (PDF version). And many of you will recognize the name of Jill Stanek, a Registered Nurse who worked at Christ Hospital in Oak Lawn, Illinois (PDF version). Tags: banning abortions, after 20 weeks, Pain Capable Unborn Protection Act, H.R. 1797, S House, Rep. Trent Franks, R-AZ, To share or post to your site, click on "Post Link". Please mention / link to the Greater Fitchburg For Life. Thanks! High School Students For Life: Do you know of a high school or homeschool pro-life group in your community? Do you have sons, daughters, brothers or sisters in high school? 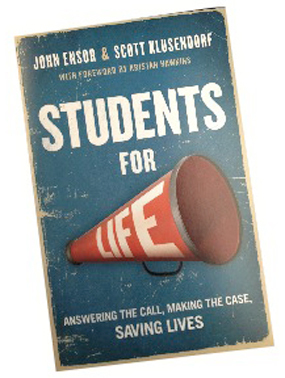 Help us share our new Students for Life High School and Homeschool Initiative with them and receive a FREE copy of Students for Life by Scott Klusendorf – a must-read for all pro-lifers! We are offering specialized training, programming, guide books, and a website dedicated to meeting the unique issues and challenges that come with being pro-life student in high school. Students for Life High School and Homeschool’s new outreach program includes trainings on topics such as: Abortion Apologetics, Leadership, and Sexual Risk Avoidance. SFLA has created step-by-step guides on how to start pro-life groups at high schools and in homeschool communities. Our new website includes resources and ideas with just a few clicks of the mouse! EVERYTHING a student would need to start a group is available in our new High School and Homeschool Guidebooks. But we won’t just stop there! Stay tuned for more new programs, trainings, and events! We want to give high school students all the tools they need to be effective in their community and see an end to abortion. Public or private, big or small, every high school can be reached with the pro-life message. Help us connect with high school students in your community to equip them to stand for LIFE! Please contact National High School and Home School Coordinator Missy Martinez directly at @studentsforlife.org with your information and the information of the high school group you know to receive your FREE copy of Students for Life! 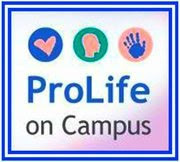 Tags: High School, Homeschooler, Pro-life, Students for Life To share or post to your site, click on "Post Link". Please mention / link to the Greater Fitchburg For Life. Thanks! Kermit Gosnell Found Guilty of Murder! Are You Willing? Willing To Stand in The Gap!